These jams and jellies are not only yummy on toast and biscuits, but they also turn fish to delish, go neat with meat, and dress up cheese in a breeze! 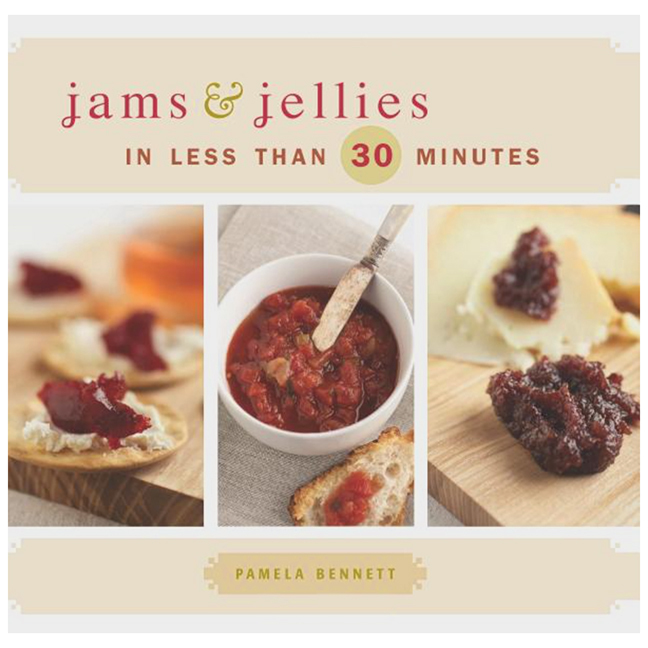 For the creative cook who has no time to spare, Jams and Jellies in 30 Minutes or Less is the answer. Simple cooking directions and ingredients are the keys to quick and successful refrigerator jams that can be eaten the same day they're prepared, or savored for up to three weeks. No canning required!